Legendary guitarist Jerry Garcia (1942-1995) is best known for his leadership of the quintessential San Franciscan collective, The Grateful Dead. However, in the early 1970's he was concurrently a member of another Californian band, The New Riders of the Purple Sage. 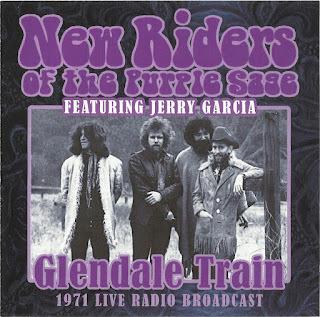 Further cementing the connection, the New Riders also frequently played support slots at Grateful Dead gigs during this period. 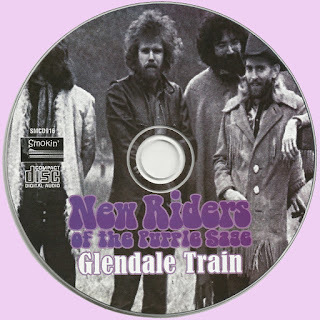 The New Riders of the Purple Sage's eponymous debut album was recorded during the winter of 1970 and released in August 1971. Unlike the Dead's sometimes sprawling jams, the NROTPS focus was on tight countrified arrangements. At this stage John Dawson (1945-2009) was the band's only songwriter - composing all ten of the album's tracks. Glendale Train, a song concerning the 1879 robbery by Frank and Jesse James, is a highlight, alongside Last Lonely Eagle and Louisiana Lady. This show from which this broadcast was transmitted was performed just two months after the release of the album. The New Riders were playing to an ideal audience as the gig was as support to the Dead. The fact that Jerry Garcia was there onstage, seated behind his pedal steel guitar, made extra sure the New Riders had everyone's rapt attention. In addition to a selection of Dave Torbert's finest original compositions, there was a hand-picked selection of cover versions that acknowledged the influence of the Riders' peers: Creedence Clearwater Revival and The Band. Closing a superb show is a fine reworking of Johnny Otis' perennial R'n'B classic Willie and the Hand Jive. By the following year, Jerry Garcia had left the band to concentrate his activities in the Grateful Dead. The New Rider's 'golden period' was undoubtedly in the early 1970's and their fourth album, 1973's The Adventures of Panama Red was a career highlight, reaching no.55 on the Billboard charts. They went on to release more than 20 albums, and continued to record and perform - in various line-up configurations - into the new millennium. The connections between the New Riders of the Purple Sage and the Grateful Dead were firm and many, as Dead members Mickey Hart, Phil Lesh, and, most notably, Jerry Garcia were members of the New Riders at one point, and the Riders frequently opened for the Dead at concerts in the early years. This live set recorded October 30, 1971 at Taft Auditorium in Cincinnati came after the band had settled into a lineup of John Dawson (guitar, vocals, main songwriter), David Nelson (guitar, vocals), David Torbert (bass, vocals), Spencer Dryden (drums), and at this point, just after the release of the band's self-titled debut album earlier in the year, Garcia was a regular on pedal steel guitar. It was arguably the classic lineup for a band that was initially a spinoff project from the Dead, making this well-recorded live set a historical and archival delight. Very informative post. Thanks for this, Marios. In addition to a selection of Dave Torbert's finest original compositions. Any chance you can post Paul Kantner Grace Slick "Sunfighter"? 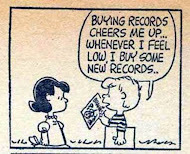 Is tough to find. Thanks for ALL you do! Love this blog!